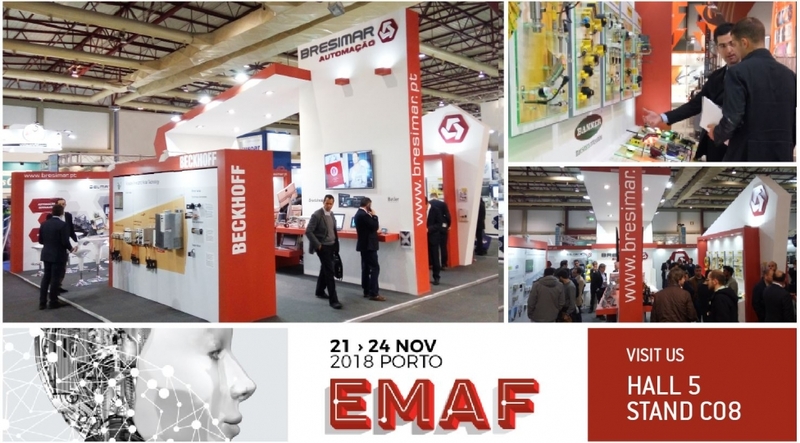 Bresimar Automação will be present at the next edition of EMAF 2018, the largest tradeshow in the sector, where the latest innovations in terms of Machinery, Equipment and Services for Industry will be exhibited. At the Bresimar Automação stand you will find a technical qualified team at your disposal to introduce you to the latest innovations related to automation and industrial control. In addition to the usual and valued presentations of products and solutions, in this edition, Bresimar Automação will celebrate together with its partners and clients the 35 years of activity in the national market. Visit Bresimar Automação from November 21 to 24 in the center of pavilion 5, stand C08. Contact us to schedule a meeting or click at the link below to request an invitation.